Early viewing is recommended in order to secure this beautifully presented and spacious period townhouse set over 146.2 m2. Flowing over three floors from the entrance hall through to a formal sitting room and family area and a fourth bedroom/study. Stairs lead to the open plan kitchen with spacious dining/family area on the lower floor with direct access to the garden. There is a pantry/wine cellar, cloakroom and a study/guest room. The master bedroom, bathroom with a separate shower and feature roll top bath and a further double bedroom are located on the third floor. 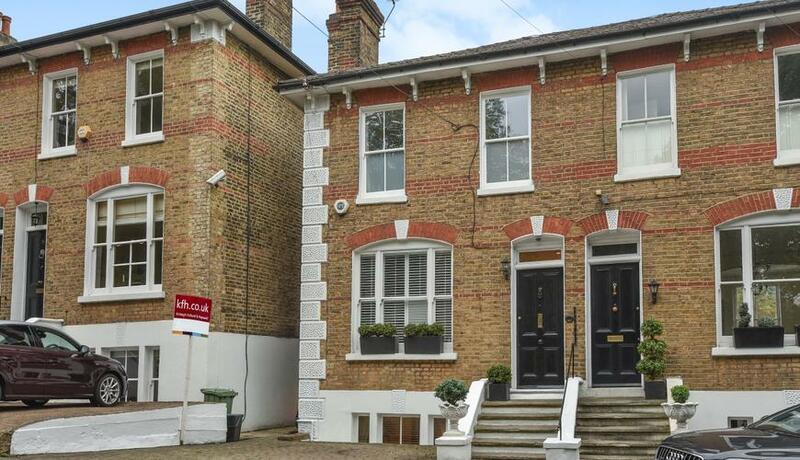 The property is within a short walk of Chislehurst station with trains to London Bridge/Charing Cross and Cannon Street. Chislehurst village centre and ponds are also a pleasant walk away. Together with a variety of sought after private and public schools.